Here’s something that maybe even Mr. Darwin didn’t consider – a possible link between evolution and spine problems. 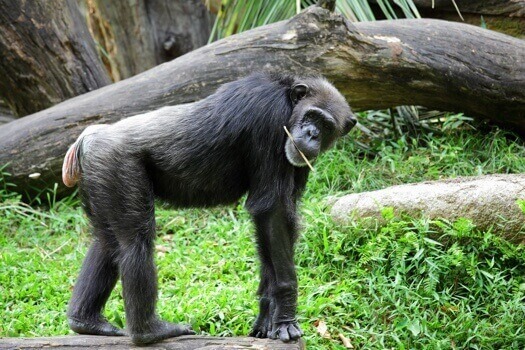 The Spine Institute Center for Spinal Restoration shares information from a recent study suggesting there may be a connection between the spines of chimpanzees and the spines of people with lower back issues. The focus of the study is really on the evolution of the human spine. The shape of the spine in both humans and our closet primate relative is defined by the individual bones within the spine. A lesion that forms between adjacent vertebrae is the reason for the more pronounced slope of the back. When humans walked on all fours, it was necessary to have that slope. Over time, the lesion disappeared and the spine straightened as humans evolved to walking on two legs. Some patients with disc problems have a spine that’s very similar in shape to the primate spine. The change in shape is due to a lesion (Schmorl’s node), which is really a small hernia that occurs in the disc in the affected area of the back. There are no such similarities in humans without disc problems. Researchers believe that the node may be the result of added strain placed on the lower back of patients with disc problems. The purpose of the study was to identify possible hereditary or genetic characteristics that could indicate which individuals may be at risk for developing back problems. Since human evolution transcends multiple generations and includes slow adaptions over time, the findings don’t necessary apply to all humans, and certainly not every instance of back pain. According to researchers, the findings suggest that some humans may be better adapted at walking upright than others, possibly indicating that human evolution isn’t finished. For more information about spine pain or to learn your options for relief, reach out to The Spine Institute Center of Spinal Restoration. Our advanced diagnostic team and group of professional board-certified physicians can assist you in your journey to less pain and a more active lifestyle. Call us at (301) 828-7757 and request your in-person consultation today!